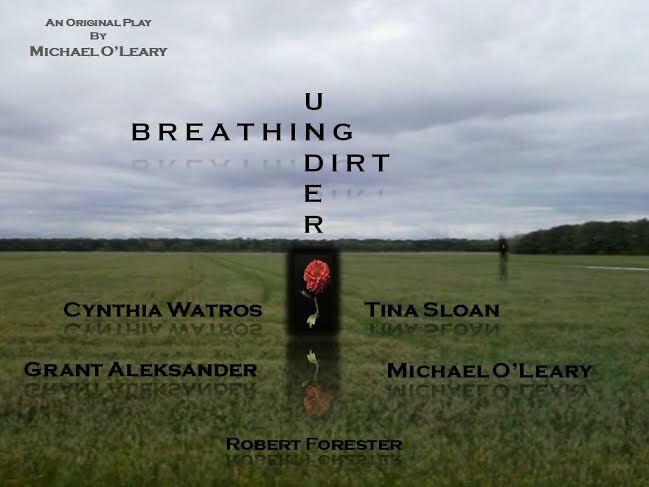 The Lower Shore Performing Arts Company teams up with Guiding Light alum Michael O’Leary (ex-Rick) to present his original play Breathing Under Dirt, at the Ella Fitzgerald Performing Arts Center on August 13 and 14, 2016. The Ella Fitzgerald Performing Arts Center is on the campus of the University of Maryland Eastern Shore, located in Princess Anne, Maryland. The cast features Emmy Winning and Nominated Guiding Light actors- Cynthia Watros (ex-Annie), Grant Aleksander (ex-Phillip) and Tina Sloan (ex-Lillian). O’Leary will also lead an Actor’s Workshop on August 14. In addition to the show, there is an exclusive Meet and Greet opportunity after each performance. Tickets are $40 and $75. The $75 ticket includes an exclusive Meet and Greet opportunity with the cast after the performance for autographs and photographs. To purchase tickets, call (443) 614-0830 or (757) 894-0833 or visit www.lowershorepac.com.